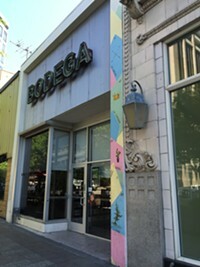 Salt Lake City’s Bodega is a tight fit that makes the most of its limited space with a small bar, tables for various board games and a few pinball machines tucked away in the back. Bodega's real gem, though, is the speakeasy-style restaurant, The Rest, that's located in the basement. It's reservation-only, so make sure you plan ahead.